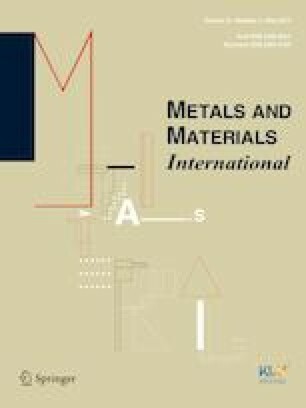 The effect of Chromium (Cr) on the dynamic transformation (DT) of austenite to ferrite at temperatures up to 430 °C above Ae3 was studied in a medium-carbon low-alloy steel. Hot compression tests were performed using Gleeble 3800® thermomechanical simulator followed by microstructural examinations using electron microscopy (FESEM-EBSD). Driving force calculation using austenite flow stress and ferrite yield stress on an inverse absolute temperature graph indicated that Cr increases the driving force for the transformation of austenite to ferrite; however, when the influence of stress and thermodynamic analysis are taken into account, it was observed that Cr increases the barrier energy and therefore, emerges as a barrier to the transformation. An analysis, based on lattice and pipe diffusion theories is presented that quantifies the role of stress on the diffusivity of Cr and is compared with other the main alloying elements such as C, Si and Mn and its impact, positive or negative, on the DT barrier energy. Finally, a comparison is made on the differential effects of temperature and stress on the initiation of DT in medium-carbon low-alloy steels. The authors are very much grateful to Finkl Steel for providing the specimens for the present research. The authors would also like to thank National Science Engineering Research Council (NSERC) Canada for their support in the framework of a Collaborative Research and Development project (CRD). One of the authors (Kanwal Chadha) would like to acknowledge the support of ÉTS, Canada for financial support for visiting Indian Institute of Technology, Hyderabad, India for carrying out the EBSD characterization. We would also like to thank Dr. Pinaki Prasad Bhattacharjee for his valuable input to the analysis of EBSD images and Mr. Rajasekhar Reddy Salem for assisting in the post processing of EBSD data.